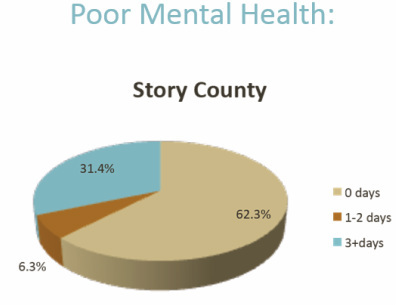 31.4% of those surveyed, reported having 3 or more days of perceived poor mental health in the past 30 days. 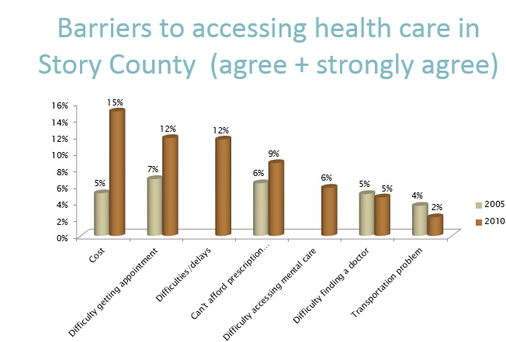 Cost (including prescription drugs) and difficulty in getting appointments were the main barriers to health care and are significantly higher than 2005 data. 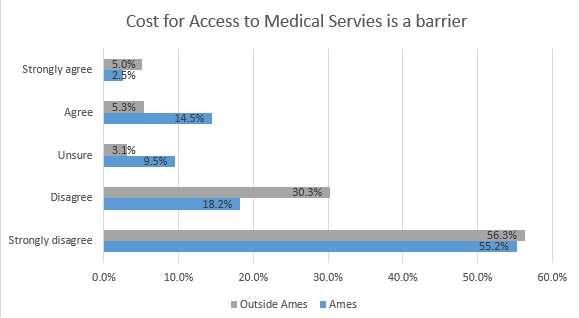 Prostate and Colonoscopy exams still remain below 50% while only 13.7% of people in the county have a digital rectal exam in the past 2 years. Those reporting that they had no means of insurance coverage has increased by 5% since 2005.